The National Thoroughbred Racing Association, Daily Racing Form and the National Turf Writers and Broadcasters today announced that Joe Harper, who has led the Del Mar Thoroughbred Club over the past 40 years and enabled Del Mar to become one of North America's most successful racetracks, has been selected to receive the Eclipse Award of Merit in recognition of a lifetime of outstanding achievement in Thoroughbred racing. 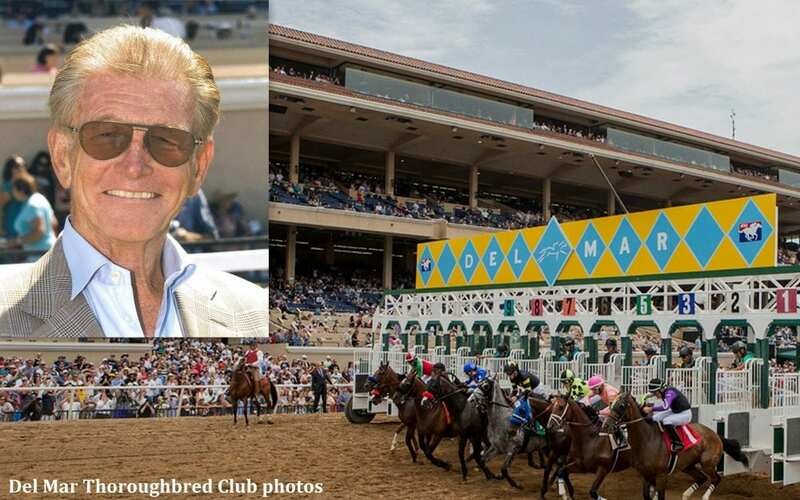 Under Harper's stewardship, Del Mar has grown to the point that it now offers some of the west's best racing, as well as its highest overall average daily purse structure, which in turn has led to robust handle figures. In recent years the track also has taken a prominent position in health and safety measures for its horses and riders that have proven highly effective and been emulated by others in the industry. –Hosting a record-setting 2017 Breeders' Cup World Championships. In 1978, Harper took on a leadership role at Del Mar after serving at Santa Anita as Executive Vice president of the Oak Tree Racing Association. At Del Mar, Harper first served as executive vice president and general manager. Then in 1990 he took on the roles of president and chief executive officer. In 2018, he relinquished the role of president, but continues as the track's CEO. He has been a director of DMTC since 1985. Del Mar has a rich history based on its co-founder, show business icon Bing Crosby, and all his Hollywood friends. To this day, each racing card begins and ends with a recording of Crosby's song, “Where the Turf Meets the Surf.” But racing's attendance fortunes began to change in the late 1990s and early in the 2000s with the advent of full card simulcasting and flagging attendance. Del Mar faced the challenge of selling itself to a younger, stylish crowd that wanted more than the past to believe in. Harper's dream of hosting a Breeders' Cup World Championships at Del Mar was realized in 2017 with spectacular results. Del Mar was announced to host the event in 2014, which coincided with the opening of a new and expanded turf course. The track was enhanced with temporary structures to add to the existing ambiance. Del Mar set a Breeders' Cup on-track record handle of $25,181,317 over the two days of the Championships. The economic impact on the San Diego community reached $96 million. This entry was posted in NL Article, People and tagged california horse racing, Del Mar, eclipse award of merit, eclipse awards, joe harper by NTRA. Bookmark the permalink.